I reached out to Las Vegas-based blogger Marcie of Obviously MARvelous to see if she was interested in doing a review of our albums and a giveaway. 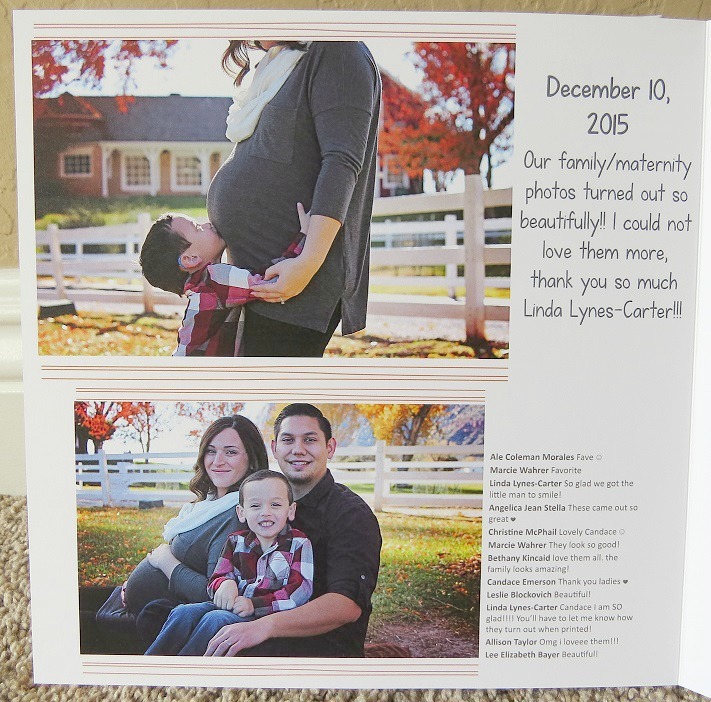 We ended up making a 20-page Signature Album for contributor Candace who had recently welcomed baby #2, to capture her pregnancy memories and baby Jacob's first months. Below is Candace's original review as posted to their blog on April 6, 2016. Whether we are making memories, capturing a milestone or just having some fun together, I take a lot of pictures of our family! Although I receive some hesitation from my son, and even get called mamarazzi by my husband, I know that we will forever cherish the moments I catch on camera. Despite all of the adorable photos I take, they tend to either collect likes and comments on social media or sit untouched on my phone. I would love to put all of our pictures in organized albums or crafty scrapbooks but I can rarely find the time to get them printed, let alone put them together in one place. Recognizing this is a common problem for many families, there is now an innovative solution. As a busy new mom, Coralee Dixon was looking to create a unique and special baby book for her daughter. Coming up empty handed in her search, she took matters into her own hands and launched Shortcake, an ingenious album design service that uses heirloom quality, handcrafted books to document and preserve special moments and family events. 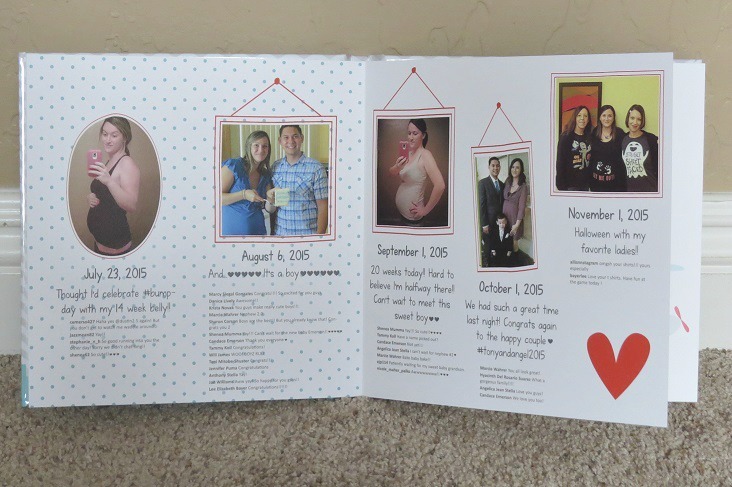 Unlike other competitors, Shortcake uses a customer’s social media photos and content to create a personalized, digitally printed keepsake album. Capturing shared images, photo comments, important dates and more, Shortcake makes memories last forever in a beautifully designed hardcover book. With Shortcake putting special focus on designing products for new parents and grandparents, I was very excited to review the personalization process and have a 20 page Signature Album ($139) created to document the recent arrival of our baby. To get started, I visited the Shortcake website to fill out their order form. It began by asking me to provide basic information such as my name and email address. As I got further into the form, I was given the chance to name my album, choose a general design, select a specific theme and provide the exact social media outlets where I share photos. Appropriately naming my album Welcome Baby Jacob, I chose a boy design with a little sailor theme and informed Shortcake that I share photos on both Facebook and Instagram. Shortcake can access the photos customers share through Facebook, Dropbox, Instagram, iCloud, Google+ and more. After submitting the order form, I received an email confirmation which detailed very specific instructions on how to connect with Shortcake on social media. I followed the instructions, and although I have Facebook and Instagram accounts that I share content on, I informed Shortcake that I also had plenty of other photos of baby Jacob which I had not shared on social media. Offering the perfect solution, they suggested I create an album on a photo sharing site and upload any pictures I may want included so that they could easily access them. About a week after I submitted my order form and connected Shortcake to my photo sharing sites, I was sent a preview of my album. I received an email with a link that took me to an overview of every page of my personalized keepsake book. At this part of the process, I was able to request any editing I felt needed to be done. The preview was set up to where I could leave comments on a specific page that I wanted changes on, which allowed the Shortcake designers to go through and address my concerns. I was so impressed with the layout and content of the album that my edits were very minor and mainly involved a few adjustments to the position of some photos. A few days after I sent my requested changes, I received a final preview with all of the edits made. As soon as I let Shortcake know that I was completely satisfied, they sent my digitally designed album off to be printed and shipped directly to me. From start to finish, the entire process of creating a Shortcake album took about two weeks. I felt involved and communicated with throughout the entire process, all without devoting too much time or feeling overwhelmed. Although I had already seen the preview of my book, I was quite anxious to see the finished product and share it with my family! My Shortcake album arrived promptly and was very carefully packaged to prevent any damage during shipping. 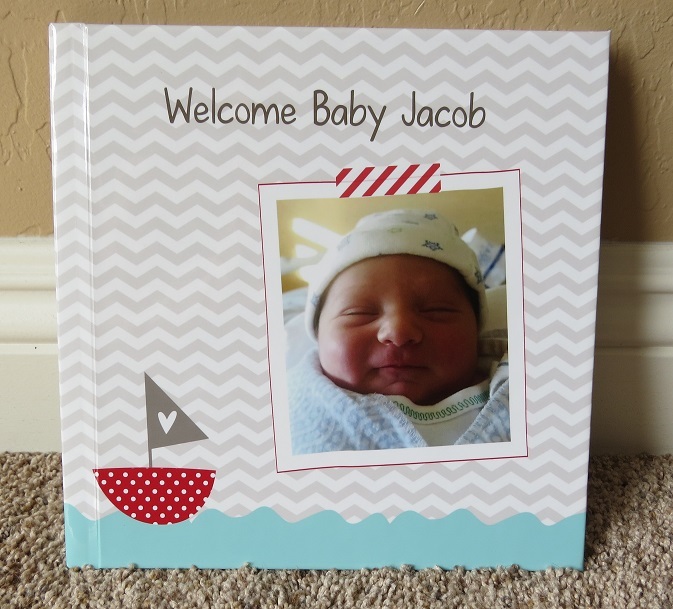 Upon opening it up and seeing the Welcome Baby Jacob album all finished and printed, I was so impressed! The sturdy hardcover 8×8 album had twenty pages beautifully designed in a nautical theme. Starting in chronological order, the album documented so many special memories, such as when I announced my pregnancy, the maternity photo shoot we had done and the big arrival of baby Jacob. Most of the pictures were taken from my social media shares and included the exact dates, as well as the sweet comments from my friends and family. All of the photos and text were clearly printed on thick, sturdy pages. I even received instructions on how to store and clean my Shortcake album to keep it in perfect condition. Excited to share this precious keepsake with my family, I showed my husband and older son the Welcome Baby Jacob album. Ethan was really excited to see pictures of him and our family in a printed book which made him feel special. We cannot wait to share Jacob’s album with him when he is old enough to appreciate it too. Highly satisfied with the entire process and finished product, I would definitely recommend creating a Shortcake album for yourself or as a unique gift for someone special. Whether documenting the arrival of a baby, capturing a year of memories or just wanting to put special moments together in one place, Shortcake puts your pictures and social media content in a tastefully designed, high quality album that will last forever. Older PostCustomer Review - Amy S.